Do you remember the teenage mutant ninja turtles? Heroes in a half-shell? Maybe your kids watched them on Saturday mornings. Well, their nemesis was a big bad ninja with blades all over his body named Shredder. This Formax 8600 Cross-Cut Office Shredder reminds me of him. The FD 8600CC Cross-Cut model has a 16″ wide feed opening ready to take up to 28 sheets at a time, up to 20 feet per minute, with a shred size of 5/32″ x 1 1/5″. Special heat-treated steel cutters require minimal oiling, and it accepts staples, paper clips and credit cards with ease. There’s a nice LED control panel on this model that puts all this power at your fingertips. Then there’s the high-density lifetime guarantee waste bin, which is a little bulkier than the anti-hero cartoon Shredder who dislikes acrobatic amphibians. The Formax FD 8600 Cross-Cut Office Shredder is $5,695 at Lloyd’s. 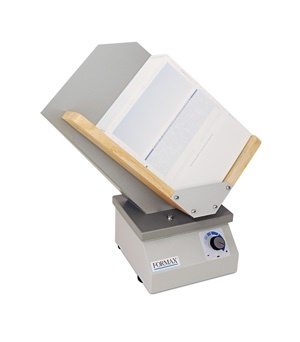 All Formax 8000 series shredders also come with a 10-year limited warranty. Plus, we’ll throw in free shipping and a gift with your purchase.